Mega Powerstar Ramcharan, who is on a high, with his last release, the Sukumar directorial period flick Rangasthalam , which had him playing the hearing impaired Chitti Babu, and costarring Aadhi Pinisetty , Samantha and Prakashraj, had turned out to be a huge blockbuster, turning out to be the Non-Baahubali industry hit, surpassing likes of Khaidi No 150 and Srimanthudu. 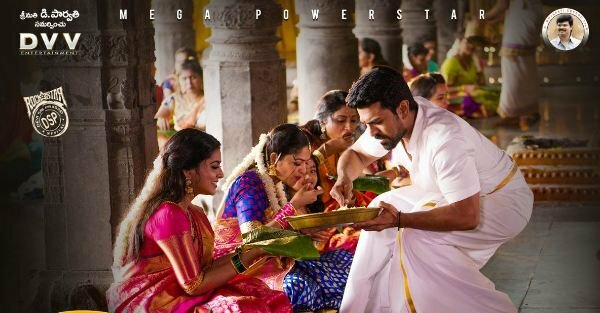 Post the success of the movie, Ramcharan had swiftly moved on to his next movie, the action-packed family entertainer, directed by Oora mass maker Boyapati Srinu. While Ramcharan was seen in a rugged rural avatar in Rangasthalam, he had toned down his physique, and got into an uber cool look for the movie, and had joined shoot recently. Ram Charan has now decided to move to Bangkok along with Kiara Advani who for an action and song sequence. While the team had already canned few episodes in previous schedules, in the recent schedule joined by Cherry, Ramcharan had shot for a stunning action sequence choreographed by Kanal Kannan, the popular Tamil stunt master, and this scene comes right before the interval and has been filled with typical Boyapati brand Oora mass stuff. Costarring Kiara Advani, Prashanth, Sneha, Srikanth, Vivek Oberoi, this movie aims a Jan release.